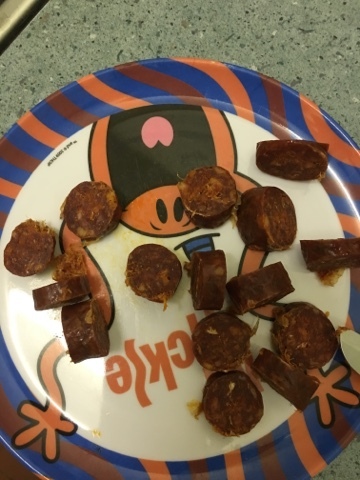 It's not every day that you get sausage in the post. When you do it's usually a good bet that it's a pretty special one. This sample from Three Little Pigs is certainly that. It came in this wonderfully whimsical packaging with little piggy reminders on it which certainly added to the charm. Chopped up you can see there are lots of things going on inside though that promise great flavours. And it worked really well! 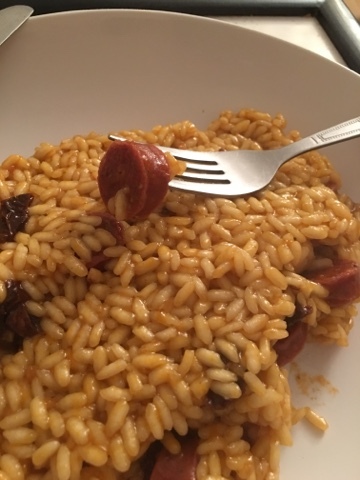 I think that the little bit of extra cooking with the rice really brought out the flavours and the selection of the spicy option sausage worked really well. 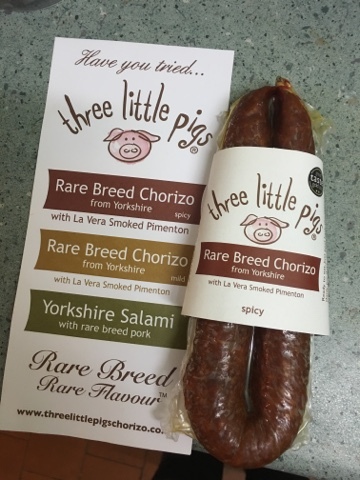 I'm not sure that the rareness of the piggies that worked hard to manufacture these sausages would sway me, but the flavours certainly are magical. Also, unusually for me, I think I used too much and was a little over full. 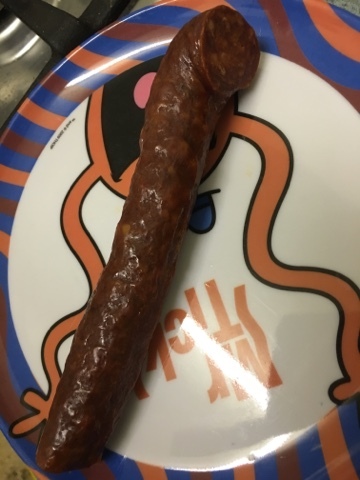 Half a curve of sausage is a lot of meat! 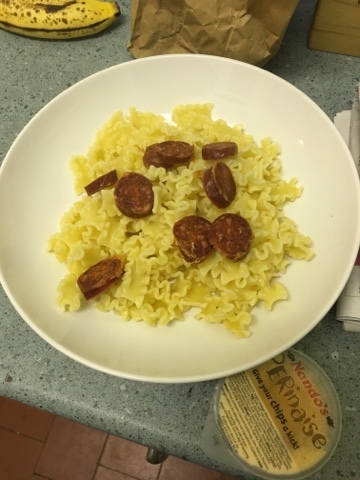 The next time I had the meat cold with pasta (and a cheeky pot of Nandos Perinaise) and this was also a magical experience, but I only used 1/4 of the curve so it was more manageable. 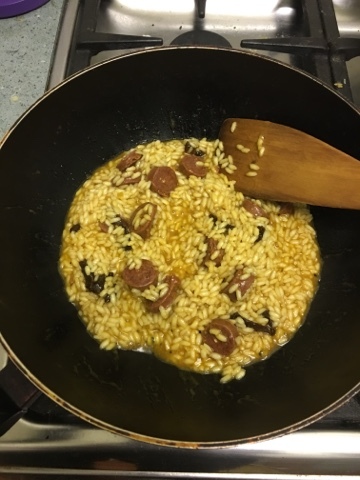 I don't tend to get to eat much meat at home, living with a veggie, so having something of a high quality like this to drop in is fantastic. I'm certainly having this again!